Top Five Friday #10 : Happy 100! Gretch Runs: Top Five Friday #10 : Happy 100! 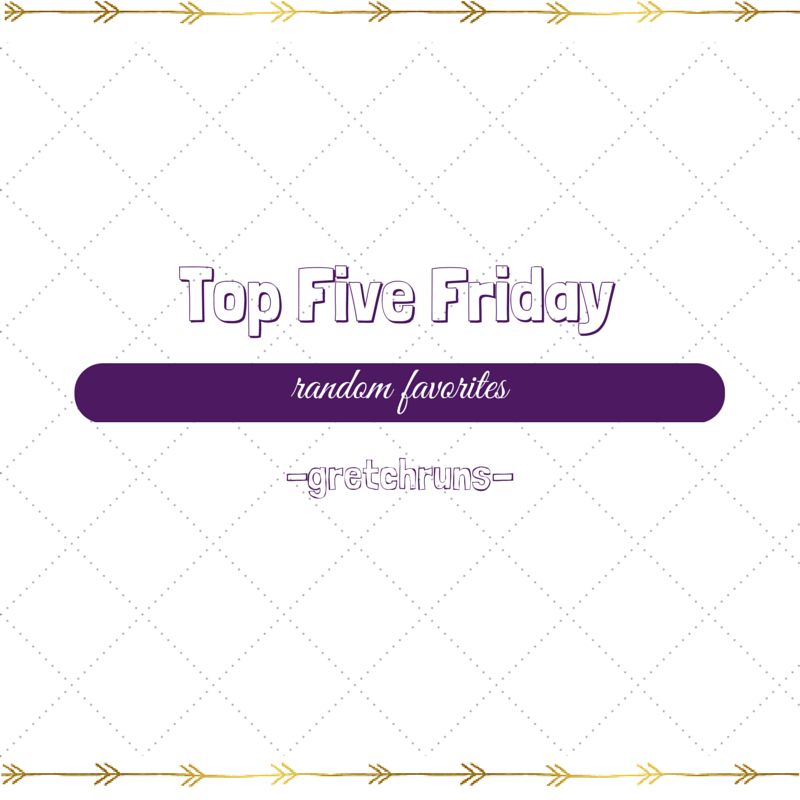 Today's Top Five Friday is a bit different- instead of having a theme, I'll just be talking about five things that I'm loving right now. I love seeing bloggers do "what I'm loving lately" posts, so I thought I would share a few of my current obsessions! This is actually my 100th post, so it seemed fitting to do a special theme! Be sure to leave what you're loving in the comments below. Hope you have a great weekend! It's (un)officially summer in Pittsburgh now (we go from snowing to 80 degree days..why?!) and I've been doing the majority of my runs before work. It's so peaceful to be outside before the sun rises and hardly anyone is out. The weather is cooler and I can start my day knowing that my workout of the day is already done! Best feeling ever. Check out my post about time management for some tips and tricks to working out in the morning! This powder is amazing! I add it to protein shakes, smoothies, and my juice. It tastes great and is an easy way to add more fruit and vegetables to your diet! My favorite smoothie for post-run is 1/2 cup tart cherry juice, 1/2 cup water (adjust if it's too thick), handful of frozen mango and banana, 1 scoop Amazing Grass, 1 scoop vanilla protein. Blend and enjoy! When I got back from my trip, I had a package from Fabletics with a few goodies I won in a giveaway! My favorite by far is their briefs. They're SO soft and comfortable, especially for working out, and come in great colors and patterns! I've tried a few different brands of "athletic underwear" and these are by far the best I've tried. I'm ordering more packs ASAP! Actually a farmer's market in Sweden that I visited, but it counts, ya? It's finally that time in Pittsburgh! The Market Square Farmer's Market is officially opening next Thursday! If you've never stopped downtown during lunch on Thursdays, it's great. Live music, local food (hello, pierogies), lots of vendors and tons of fun. I love walking around and picking up snacks for work and some flowers! 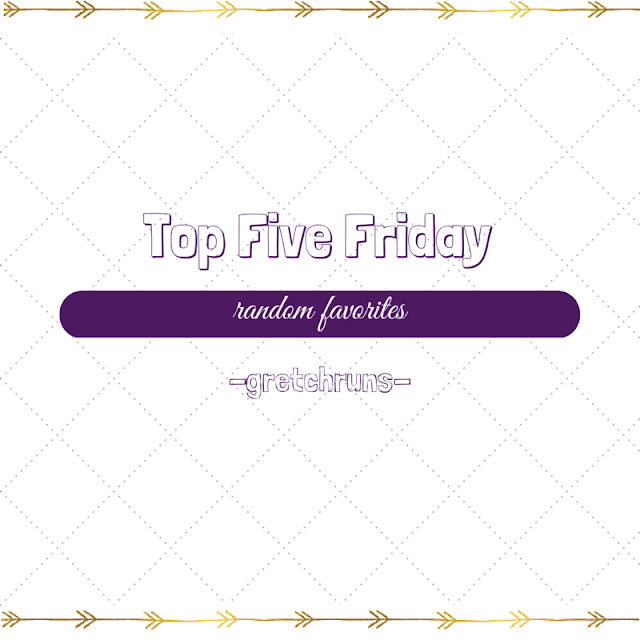 I'm sneaking in a sixth favorite - Canva! Julie mentioned this website on her blog the other day, and I'm loving it so far! I used to do all of my images and banners in Paint, and this makes it SO much easier. You'll be seeing new graphics for my posts (including the one above!) I hope you like them! I heard this song early in the week, and ever since then it's been blowing up across the blogosphere! It seems like everyone is loving this song, which is easy to understand. It's got a great message and has a great hook. This is definitely going in my half marathon race playlist! I have no idea why I haven't listened to much of Sarah Bareilles before..she's so incredible. While I was visiting my friend Steve in Sweden, he played some of her music and I immediately downloaded all of her songs on Amazon Music. She's SO talented! I watched the movie Annie on the flight back to the United States and loved Sia's version of this song! I've been listening to the Broadway soundtrack ever since I played in the orchestra for a local show a few months back, so it was fun to actually see the musical! This song came on while I was listening to the "Evening Commute" playlist on Amazon Music (check out their pre-made playlists..it's a great way to find new music) and I fell in love with this song! It's really soothing and a bit haunting at the same time. The singer is from Copenhagen, which is just icing on the cake for me! I'm still rooting for Nastia and Riker! Both of them are exciting to watch and really talented. I don't usually like trio dances, but Derek choreographed the BEST dance EVER! Not only is it - by far - my favorite trio dance, but one of my favorite of all time on the show! I do have to admit that Nastia's attitude kind of turned me off her a bit, but that dance pulled me right back in. How does she move so smoothly?! India Carney - She sang two of my favorite songs of the moment, and I thought they were great choices for her voice. She's great at the emotional, raw songs, and I loved how she changed up Glory! I also voted for her in the instant save, so I'm happy she stayed! Joshua Davis - I think he has a great voice, but hasn't blown me away. His song for his wife was beautiful though! Koryn Hawthorne - I'm still on the fence about Koryn. She's incredibly talented, but I'm just not a fan of her voice! Also, why would anyone on The Voice sing Dream On after Amanda Brown KILLED it?! Meghan Linsey - No words...just amazing. Kimberly Nichole - I was so sad to see her go! I loved her energy and fun song choices each week, and how cute was she in the package with her mom and Christina?! I want to see a trio with those three. Has anyone else heard the news that The Mindy Project is being cancelled (but was picked up for Hulu for 2 seasons?) I'm a huge fan of Mindy's so I was shocked by the news! I've watched the show from the beginning and I'm glad it's going to continue, but surprised that Fox would let it go. In other Mindy news, she's releasing another book! Has anyone read the first one? I did and loved it! Linking up with Mar, Cynthia and Courtney as well as Heather and Clare!! What are you favorites of the week? Thoughts on any of these shows? It's getting down to the wire for all my competitions! I was bummed to hear about The Mindy Project. We love that show! 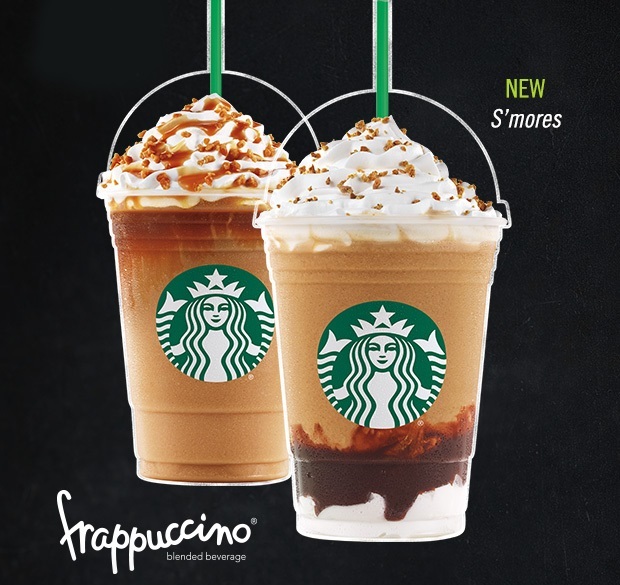 I haven't tried the s'mores frap yet - looks yummy! Try it! It's Sooooooooooooo good!! WOOHOO to farmer's markets! I am actually the tiniest bit bummed that I am leaving for a long weekend in Columbus next weekend early on Friday and will miss the first one in my 'hood. I am also loving the S'mores frapp and have been making my husband "share" them with me ;) Happy weekend!! Oh my gosh friends...best show ever. Now I get why everyone's obsessed with it (same with Gilmore Girls...thank you Netflix!) Thanks for hosting! Happy 100th post!! This was a great read! I'm also watching Idol and DWTS, but not rooting for the same contestants! LOL. Actually on Idol I like all three finalists and would be happy for any of them. I don't have a clear favorite. I think with Nick I like his story more than his singing. DWTS...you don't like Rumer??! I tend to root for the underdog so I can't help but like her. But again, a win by Riker or Nastia would also be well deserved. No clear favorite once again! Congrats on the 100th post! I love Netflix too because I can go back and watch my shows that are no more. I'm repeating Scrubs as we speak. Ohh maybe I'll get into that after I'm done with Friends! Thanks for always stopping by and commenting..it means a lot to me! So many great things in this post! I get Fabletics and have been considering trying those undies, but the reviews are confusing. Some say they fit too big, some say too small. Have you bought Fabletics bottoms & can compare the sizing of their bottoms to undies? Can't wait for the farmers' markets to start! We take Django and the gyro guy always gives him freebies...so Django loves it! Love running in the morning! the BEST! Also, I was pretty bummed about Rayvon too :( I recently switched jobs from doing Student Activities at the college I work at to running the wellness center but one of the last things I did in my old position was bring Rayvon to our campus... definitely before we knew he was going to be on American Idol. he's such a cool guy! What!? That's so cool! He seems really sweet and down-to-earth. I loved him from the beginning of Hollywood week! I keep meaning to try a pair of athletic specific briefs. I thought about Lulu but maybe I will try Fabletics! farmers markets are my favorite! love them so much!